Image Credit: Gullig / Flickr. This image has been modified. This month in the journal Academic Medicine yet another editorial was published decrying the sorry state of nutrition knowledge in medical education, a problem diagnosed yet untreated for the last 50 years. What is the profession doing about it? This morning’s NutritionFacts.org video-of-the-day Medical Associations Oppose Bill to Mandate Nutrition Training exposes the fact that many mainstream medical organizations are actively opposing and lobbying against mandating more nutrition for doctors. This, despite the fact that most medical schools in the United States fail to provide even a bare minimum of nutrition training. According to a review published last month in Nutrition in Clinical Practice, “virtually every published study about physicians and nutrition counseling showed that primary care physicians…were not delivering nutrition services to their patients.” There was one study of thousands of patient visits to more a hundred family physicians that measured how much nutrition advice they were offering. The average per visit? Less than 10 seconds. Starting last Friday and continuing through this Thursday, I document Dr. John McDougall‘s quixotic battle against mainstream medicine to mandate even just a few hours of nutrition education for our colleagues. Please be sure to leave any questions or comments you have below, and check out all the videos on the medical education and the medical profession. I’m on my 4th audio book read and have bought your book for my own parents and girlfriend’s parents! On the topic of General Practice doctors, are the currently any websites, organizations, non-profits etc. that actively track nutrition education of individual doctors for citizens to actively track their doctor’s nutrition education and seek out doctors who are experts? If not, any advice in starting such a website/organization? Hi Kirk- Alan has answered your question below, but I thought I’d add that a good site to look at is the American College of Lifestyle Medicine (www.lifestylemedicine.org). Under the tab “About” you can find a list of healthcare practitioners who are members. Being a member implies (although I don’t think guarantees) an interest in promoting health through nutrition. The Physicians Committee for Responsible Medicine (pcrm.org) is another site to check out if you haven’t already, for likeminded practitioners. Hope that helps! When I was diagnosed with pre-hypertension at twenty four years old (I am 5 foot 6, 135 pounds, semi-athletic), the doctor suggested that I buy an at-home blood pressure testing kit, monitor my rates at home (we both thought it may be white-coat anxiety), and if nothing changes, head back to the office and pick up some blood pressure pills. Although they did print out a tiny slip of paper telling me to avoid canned foods, to not smoke or drink, and to regularly work out, the doctor himself mentioned nothing nutrition-related; he simply suggested that I may need to get medicated. Well, I don’t have health insurance, and I can’t afford meds, so I decided to do some research. My starting points were a few books, and then FOOD Inc., Food Matters, and Forks over Knives (documentaries), which led me to a world entirely unexplored. Since giving up meat, canned food, fried food, and changing to a mainly plant-based vegetarian diet (though I still succumb to fish now and again), the blood pressure has dropped, and I need no medication. Go figure! As I am very concerned with the pervasive influence of corporations in our lives (I was initially just concerned with the corporate influence in politics), my research has led me directly to the world of food, big agriculture, nutrition, and pharmaceutical companies, and I just want to say your website is informative and thoroughly accessible. Thank you! Your experience of lowered blood pressure is not unusual after going on a low fat whole food plant based diet. We aren’t sure whether it is the reduced sodium(less processed foods) or increased potassium, magnesium, phytonutrients, soy or other factors in a plant based diet.. see http://nutritionfacts.org/videos/fill-in-the-blank/ but it clearly works.. http://nutritionfacts.org/videos/say-no-to-drugs-by-saying-yes-to-more-plants/. If you want to view two testimonials to the power of a plant based diet go to the EarthSave.org website and view the testimonials of 5 of the 20 patients I had the pleasure of treating as part of the Meals for Health program. Don’t forget to stay tuned to NutritionFacts.org as the science keeps changing. Congratulations on your success! It’s sad. I’ve never seen a doctor or even a dentist concerned with diet. Both my husband and I have tried to tell our doctor about our low-fat, plant-based, whole foods diet. He just shrugs and says, well, keep doing what you’re doing. Your numbers are great. End of conversation. The doctor is part of a big HMO — Kaiser. It’s my sense that they take their marching orders from the powers that be in the organization and the mucky-mucks are very tepid about dietary recommendations, despite the fact that Kaiser San Francisco has big photos of vegetables all over the place. But you go in their sort of cafeteria/restaurant and it’s a nutritional disaster in my opinion, a feast of chips, candy, soda, white bread, white rice, greasy meat dishes, cheesy dishes, sugary yogurt. The fruit selection is a basket of green bananas and apples so waxy you could use them as candles. And you can’t get vegetables without the grease and meat thrown in. It’s infuriating — our monthly premium went up to over $1,000 a month! I feel like we’re paying for Kaiser’s incompetence and well, malfeasance. They could be doing so much more to get people healthy. We’re all paying for a lot of unnecessary illness and unnecessary suffering. A terrible shame. Thank you Dr. Gregger for your wonderful work! Hi Shintido Leslie, Your point is well taken and I believe can be generalized to all large medical groups that I am aware of. I worked for the Permanente Medical Group(the P in KP in northern california). I worked as a Family Medicine physician for 30 years and retired in 2008. In the last 2 years I had alot of success with my patients who were diabetic. I have additional training in medical management and quality improvement. For the last 5 years I have given talks to health care professionals. I have spoken to Kaiser hospitals in the Sacramento and Richmond. Most of the physicians are unaware of the science around the prevention and reversal of chronic disease. 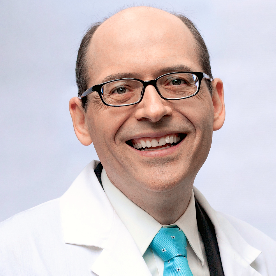 Dr.Greger reviews over 6000+ articles a year and there are over 10000 articles added to the medical literature weekly. Very difficult for physicians to keep up. There are many reasons for the state of the medical industry. I think we both would agree that KP is missing a big opportunity both in their medical care and the food that is served. I know their are a few and hopefully a growing number of physicians who are interested in working with patients who are on plant based diet. I encourage KP physicians to post that information on their websites. I also believe the rates are too high and there is alot of unnecessary illness and suffering. I advise individuals to become informed by finding trusted sources of information… for me the big three are Nutritionfacts.org, John McDougall MD, and PCRM. Be well. I’m a 4th year medical student at Tufts (your alma mater), and I guess we were one of the lucky ones to actually get a nutrition class in our first year. You know what though? It was AWFUL! I basically learned about states of malnutrition, what not to feed a baby and bariatric surgery. Useless. I’m going into Family Medicine, and I have gotten more teaching from your videos than anything I experienced in medical school. I’m seriously considering writing to my school administration to ask them to invite you to be a guest speaker in our course. If you talked about the “Tomato Effect,” American diet and heart disease, I think you’d make the best nutrition lecturer ever. Would you consider speaking for medical students? Liz, PLEASE write to your school administration! I am an RN who recently asked a busy cardiologist if he prescribes plant based nutrition for his patients, especially since I understand CMS “Medicare” will now pay for patient education. His response, I don’t believe in it and it is so out of mainstream! This mindset needs changing. I have first hand knowledge of the power of plant based nutrition in my own health issues. Props to Dr. Greger for this forum. I frequently pass on his postings to my friends. Happily they are starting to pay attention. 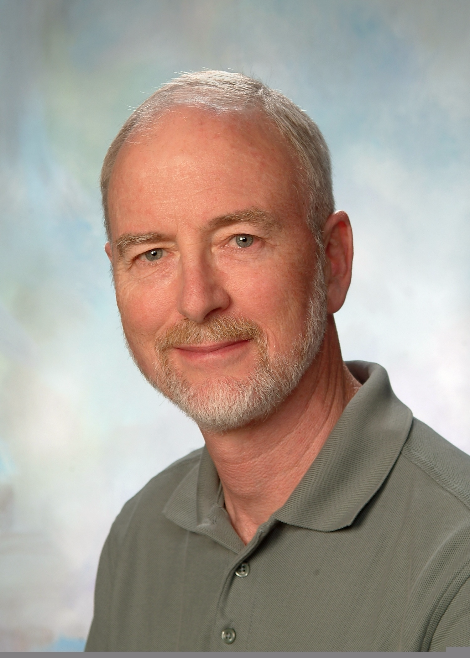 I’m a Family Medicine physician and thoroughly enjoyed my 30 years of practice. In “semi” retirement I have spoken with the residents in Family Medicine programs in Sacramento CA(Davis, Sutter Health) on nutrition relating to chronic diseases such as diabetes, arterial disease, obesity, etc. . From what I can see based on my interactions with residents and their instructors they don’t get much training in nutrition. Keep tuned to Nutritionfacts.org and as you progress through your training maybe you can begin giving presentations or bring up key articles for journal club. Good luck. Please discuss gmos and decreased nutrition in our foods. For a discussion on how much has the nutrient content of food crops have declined over the last 50 years please see my video Crop Nutrient Decline. In terns of GMOs, I’ve published a few papers on the inclusion of genetically modified animals in the food supply (for example here, here, and here), but the relative risks and benefits of genetic engineering in crop agriculture is less clear. Unfortunately, the latest review on the safety of plant GMOs is not freely available, but an earlier review is. If one is interested in the two extremes of the debate I’d suggest Health Risks of Genetically Modified Foods on the “anti” side and Why Genetically Modified Crops? on the pro. WFPB Vegan, what to ask for in Medical Tests? It’s a pleasure to find, watch and read the commentary and videos on this site. I’m a long term WFPB vegan. I’ve been vegetarian for thirty years, a vegan for twenty years and following the low-fat whole-food diet/lifestyle — eliminating refined oils, salt and sugar — for the past five or six years. I’m slender, have normal BP and blood sugar, can work all day in the garden (grow and eat tons of leafy greens) and run three or four miles a day, no health problems, all at edging up on 60 years old, taking no meds beyond the usual supplements of multivitamin for B12 and flaxseed for omega 3s, with a calcium tab and vitamin D for insurance. On an annual basis I don’t usually see any doctors, but still am curious if I’m missing something. I’d like to know specifically what tests I should ask for, and which results I should pay most attention to. Given the non-nutrition orientation of typical physicians, it would seem that I would need to be in the driver’s seat to find out the most useful information. Could the thoughtful nutrition-oriented doctors here put together and post a check list of important blood (and other) tests for all of us long-term lifestylers who are following the plan to help ourselves and the environment? –All the best. The biggest disconnect there is…..the connection between what we eat and our health! How can we let this continue on? All of our technology and intelligence, and we can’t master the connection between our fork and our bodies. Sad, and ignorant and frustrating that we have been directed and controlled and literally brainwashed by big businesses into going to our physicians for drugs, when the real healing take place on our plates. Try it…..eat a plant based diet full of whole grains and foods that are alive for 2 months, and watch your weight lighten naturally, and your pill intake disappear. It is magic, it’s nature. This is why I’m doing a nutrition major now. I want to go into medicine, but not before I know a little bit more about the food we eat!